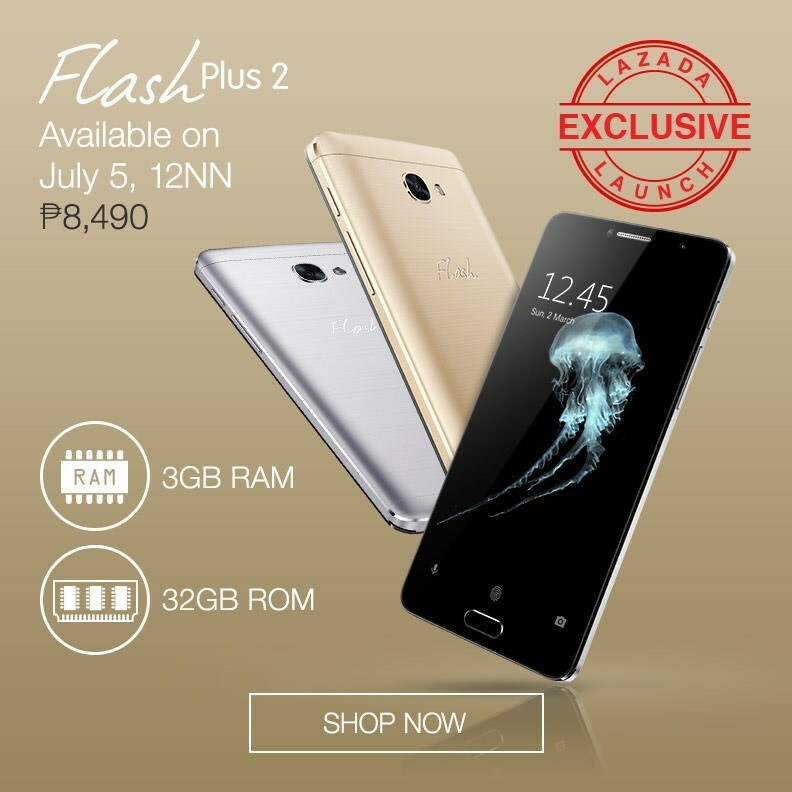 Home Flash Flash Plus 2 3GB Flash Sale Lazada Lazada’s Best Brands Sale Smartphones Flash Plus 2 3GB RAM with more capacity to be available in the Philippines starting July 5 at 12NN! The Flash Plus 2 3GB will be offered during Lazada’s Best Brands Sale. Selling price is at Php8,490. Both Luna Silver and Venus Gold will be available.